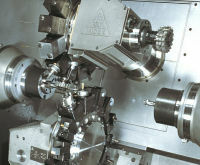 Custom CAM programming provided from your CAD file or we can create the CAD file. Charging by the hour or bulk rates available for long term projects. We not only provide a NC program but a video of it running and set up list. Have a guy going on vacation and need programs? Pick up a new piece of equiptment and need some help getting it programmemed. Free consulations , let's discuss if we can help.